It has been as a result of continued hard work, perseverance and commitment that Tekstreme have been recognised by PADI EMEA TecRec and have been award a certificate for “Outstanding Development in Technical diving”. This award has been given not only for 2010 but also for 2011. 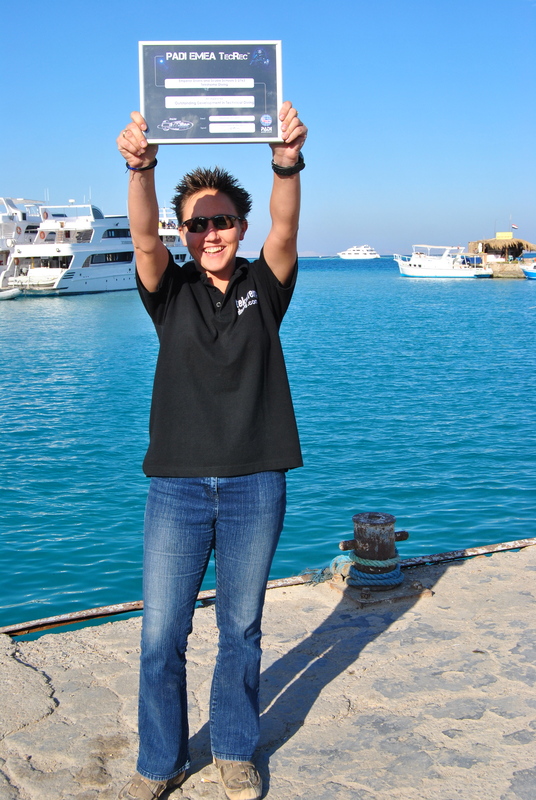 This reflects continued efforts by Cat Parfitt, the technical diving manager and all of the PADI technical instructors working for Tekstreme past and present. The award marks a significant change within Tekstreme over the past two years which was previously just primarily a TDI centre. Tekstreme responded to the publics demand for more availability of the full range of PADI TecRec courses and in all resorts over the Red Sea. Tekstreme are proud to currently have 6 PADI technical instructors working within their team to be able to fulfil the demands of the ever growing PADI technical community. Many thanks Soren. It has been due to the continued hard work and effort by all of the Tekstreme team that now the PADI TecRec is really making a name for itself. Long may it continue.